Cecilia Fox | Weekly Record Herald Santa and Vice Mayor Scott Hurst flipped the switch to light the downtown West Milton Christmas tree on Saturday, Nov. 17. 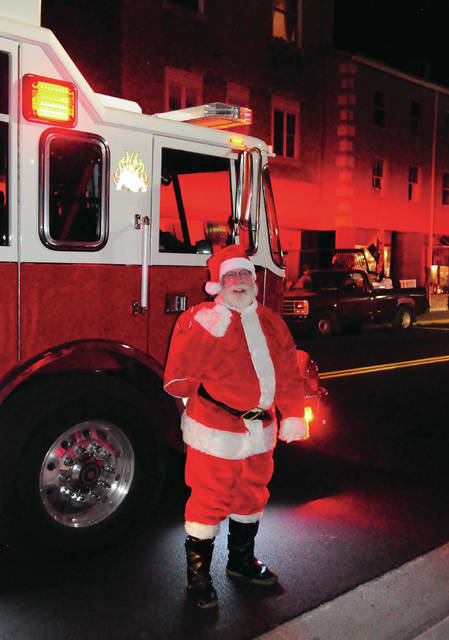 Cecilia Fox | Weekly Record Herald Arriving from the North Pole on Saturday night to preside over the tree lighting, Santa was escorted to the tree lighting by the West Milton Fire Department. Santa and Vice Mayor Scott Hurst flipped the switch to light the downtown West Milton Christmas tree on Saturday, Nov. 17. Arriving from the North Pole on Saturday night to preside over the tree lighting, Santa was escorted to the tree lighting by the West Milton Fire Department. 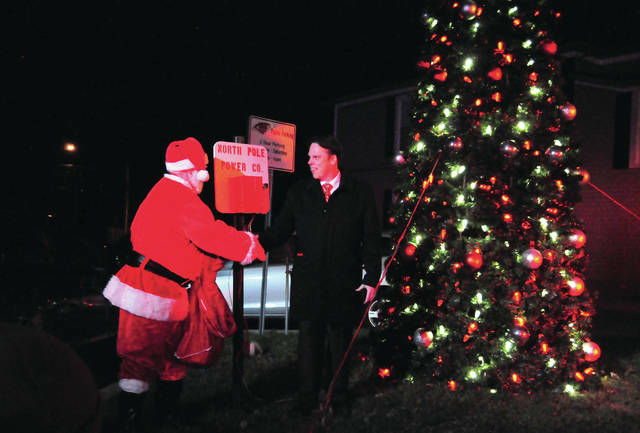 https://www.weeklyrecordherald.com/wp-content/uploads/sites/51/2018/11/web1_DSC_0418.jpgCecilia Fox | Weekly Record Herald Santa and Vice Mayor Scott Hurst flipped the switch to light the downtown West Milton Christmas tree on Saturday, Nov. 17.
https://www.weeklyrecordherald.com/wp-content/uploads/sites/51/2018/11/web1_DSC_0404.jpgCecilia Fox | Weekly Record Herald Arriving from the North Pole on Saturday night to preside over the tree lighting, Santa was escorted to the tree lighting by the West Milton Fire Department.